NDTV Gadget Guru Awards 2015 is back in a bigger and grander avatar to celebrate and honour the very best in the World of Technology! Like always the channel is raising a toast to the single most important ingredient that is at the genesis of every tech brand – ‘Innovation’. This year, NDTV Gadget Guru Awards joins hands with India Gadget Expo 2015.It will be the biggest technology show in the country bringing together the best tech-innovators, manufacturers, and entrepreneurs and retailers to showcase their products, expertise and insights to tech-savvy consumers who will get a lifetime opportunity to witness gadgets take over the ‘city of pearls and Nizams’ Hyderabad between 18th and 21st of September 2015. Sharing his views on NDTV Gadget Guru Awards 2015, Vikram Chandra, CEO, NDTV Group, says, "The Gadget Guru Awards" are India's best known and most credible awards for success and innovation in technology. We are looking forward to evaluating and recognizing the best products in the country today." NDTV Gadget Guru Awards which comes from the team that is behind India's longest running tech show – will bring together an expert group of specialists and trade pundits under the aegis of NDTV Gadget Guru Awards who will congregate to select the best amongst the best, to be honoured and felicitated on the Awards’ night. Speaking about the jury and the credibility of the awards, Rajiv Makhni, Editor, Technology, NDTV Limited, says, "The NDTV Gadget Guru Awards are by far the most coveted technology awards in the country. With thousands of products being nominated, an incredible jury, a stringent testing process - the final winners are truly the best in their category. 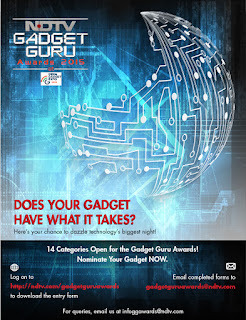 The Gadget Guru Awards are the Oscars of Technology - as important and as credible." 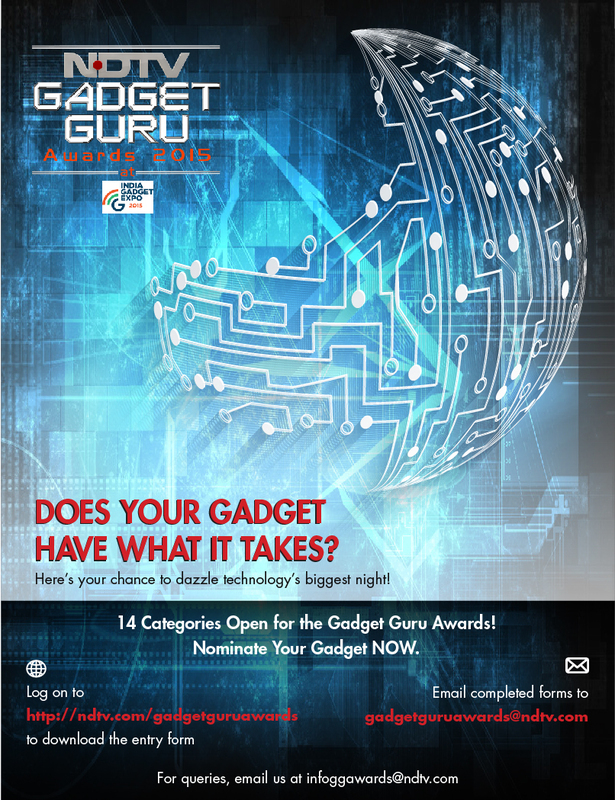 The nomination process is open to gadget companies, who can nominate their products in the 14 specified categories.